Take the first step and the universe will move to meet you. There are 1,001 steps in between where you are and where you want to be. It’s not your job to figure them all out now. It’s only your job to declare your intention. When you do, the universe will move to meet you. That sounds too easy, right? It’s not easy, but it is the first and most important step to any change you’d like to make. You will still need to give 100% of yourself to your passion. You will still need to seize every opportunity that comes your way. You will still need to hustle. But when you provide yourself with clarity, you provide the universe with clarity too. When I was CEO of the Chicago Urban League, I would meet on a regular basis with a prominent Chicago newspaper to discuss their coverage of African Americans. I explained to them that they rarely published positive news or highlighted the successes of our community. After my third or fourth meeting with them, when it was clear nothing in their coverage had changed nor would it, I took matters into my own hands. I had an idea for a television show that followed black entrepreneurs who were part of the Urban League’s NextOne program, which provides tools and resources to burgeoning black business owners. But if I wanted to turn my idea into a reality, I knew I’d have to first declare my intention to do so, not only to myself but out loud, to others, so that the universe would hear me. At the Urban League’s annual gala, at which over 1,200 people were in attendance, I made a bold announcement: Not only would we create this show, we’d do it within six months time. At the time, I didn’t have a structure, any content, or even a funding source to create this program, but I knew that if I had faith, declared my intention, and took the first step, the universe (and in my personal belief, God) would provide me with what I needed. And sure enough, opportunities, people, and resources began to align. Now, I don’t want to make it sound easy — it wasn’t and nothing worth doing ever is — but in six months I had a plan in place. I secured the funding and a production team to produce a trailer for NextOne TV. In its first year, NextOne TV was nominated for three Emmy Awards and won two. The key to NextOne TV’s success? I didn't wait until I had all the pieces in place. I had faith and trusted the universe would meet me if I took the first step, and the next step, and the step after that. I know that declaring an intention without a plan can be scary. It can be scary to say, “I’m going to do something that’s never done before.” So start easy by first writing it down. Next, say it out loud to yourself. Then say it out loud to yourself at least once a day. Once you truly believe in your intention, say it out loud to the people you trust the most. Your true friends and supporters will be thrilled for you. Finally, once you’ve declared your intention and commitment, take action. If you want to change careers, ask if you can shadow someone you know in that industry for a day or talk to a career coach. If you want to become YouTube guru, film your first video. If you want to learn a new life skill, clear the time on your calendar and sign up for a class. Once you’re in action mode, you’ll also start noticing little coincidences. You’ll start seeing connections you hadn’t before. Doors will suddenly open up for you. Colleagues and acquaintances will start making suggestions that help you on your journey, eerily, even before you tell them you’ve changed paths. This is because once the universe has heard your intention and your commitment, it begins providing you with the encouragement and resources you need to manifest your dreams. The truth is this: the signs were already there. Those connections were always available to you. And your friends always thought you were exceptionally talented at your passion. But because you kept telling yourself, “No, that’s not meant for me,” you weren’t in the spiritual space to take advantage of what the universe was already offering. Stop waiting. Start declaring. Take action. And the universe will move to meet you. 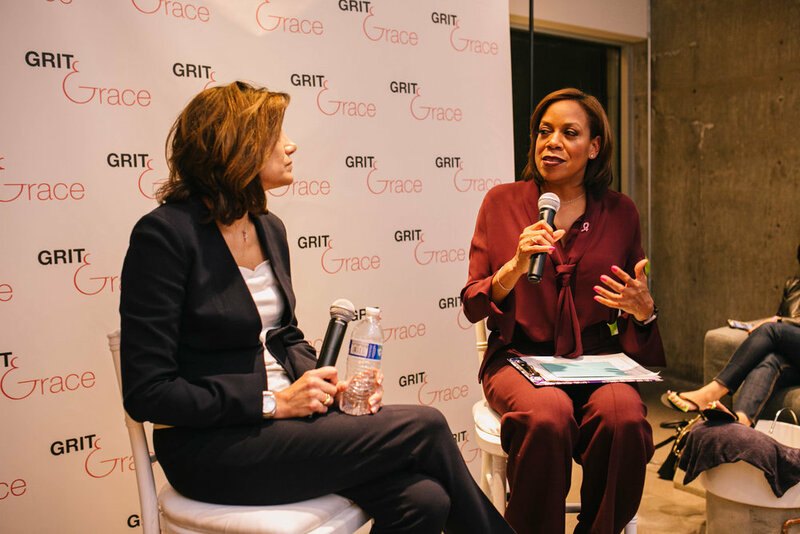 Did you attend Grit + Grace Day? Now that you’ve gained confidence and a game plan, take the next step to realize your dreams: Sign up today at g2coach.com for affordable, online coaching services with top-notch career and life coaches. Thriving in toxic work environments. Walking away from a job, even one that doesn’t fulfill you, is never easy. Not even when it’s a toxic work environment. I’m not talking about a micromanaging boss, or gossipy coworkers—I’m talking gut-wrenching toxicity. An environment that perpetually calls on you to sacrifice your joy, sleep, inner peace, even your health, and goes against your very values, for people who don’t deserve it. It was in such a toxic environment where I began to bloom. For three painstaking years, I was director of communications for the Illinois governor. I was the first African American woman to inhabit that role. And almost daily, I was exposed to every social pathology associated with being a double minority: sexism, blatant misogyny and unmasked racial bias. I was surrounded by people, mostly men, who made it a point to make me feel inferior at every opportunity. It was Machiavellian. Later, when the extent of the vileness and impropriety was exposed, I felt validated. But even now when I pass by the State of Illinois building, I get nauseous. Staying at the office until 10, 11 o’clock at night was the norm. When I worked from Springfield, those long days meant popcorn for dinner. Nothing’s open passed 9 and the budget hotel across from the Capitol building didn’t have room service. But it had a bar! The days ran together, until one morning, at 4 a.m., I woke up in excruciating pain; I was doubled over. It hurt to breathe. I called the front desk and said if I didn’t call back in 10 minutes to send someone to my room to check on me, because I’ve passed out. I didn’t want to call an ambulance and be wheeled out on a stretcher. Media frequented the same hotel, and I didn’t want to end up on the news. So I called a cab. I straightened up just long enough to slide passed a reporter in the lobby, and I laid down in the back of that filthy cab like it was home for the trip to the ER. Diagnosis: A ruptured ovarian cyst had triggered a potentially life-threatening attack on my appendix. I told the doctors I’d make an appointment with my physician when I returned to Chicago. They looked at me like I was crazy, and within 20 minutes, I was being prepped for surgery. From my hospital bed, I continued to do my job, even though it was constantly being threatened by my boss in his daily chides. I returned to work, committed to the fight, ready to double down on everything. But all I did was buy myself a second surgery. After that, grace stepped in. I began to see things as they were. I’d been in the fight so long, I hadn’t stopped to think about the approach, or whether it was my fight to begin with. I decided to invest in something else: myself. I began to look at aspects of my job that reflected things I personally cared about and how to use my powers for good. An example is the Public Health Department’s annual report on the AIDS epidemic. The impact on the black community was staggering, particularly the infection and death rates among black women. I was so moved that I submitted a proposal to the health department to create a program to raise awareness about HIV/AIDS prevention and treatment targeting African Americans, and aggregate resources. It was called Brothers and Sisters United Against HIV/AIDS. It was empowering! The initiative even won an award, and it wound up being a feather in the governor’s cap, too, with his African American voter base. But I didn’t stop there. I continued to engage with community leaders and organizations, and actively sought initiatives outside of my role as Communication Director that were aligned with my values. I was still working for the governor. The environment didn’t change, my perspective did. I found fertile soil in me, planted seeds, nurtured them through self-investment, and I blossomed. I was profiled in Today’s Chicago Woman magazine, and my community engagement around economic development and activism helped me land my next job as the first black woman to lead the Chicago Urban League. I’ve shared this very personal story with you to drive home the point that when you invest in yourself, it not only empowers you, it makes you a better employee, advocate, or business owner. You can still give 100%, just hold 10% back for yourself. Your investment has the power to move you onto greener pastures. My latest mission: helping women access the benefits of career coaching at every stage of their career by making it affordable. If you need help gaining confidence and a game plan for satisfying your career objectives, even in a toxic work environment, then I hope to see you March 22 at Grit + Grace Day. Registrants will have access to coaches onsite and post-event through a special coaching website that will launch the day of the conference. It’s springtime! Plant the seeds in yourself and bloom where you are. Register today! Join me and a few of my power pack friends for the “Dish with the Divas” luncheon and a candid conversation about friends, work, love and life at the Grit + Grace Day women’s conference on March 22. Click here to register and use promo code POWERPACK at checkout to receive 25% off. I was 32 years old and it was the dot-com era. All around me, I saw white men in their 20s being promoted to VP level or higher. I made up my mind that I was going to be a VP, too. So, without having any conversations with my superiors, I sent out an internal memo, giving myself a new title while working for a national radio network in Washington, D.C. I know, right?! For most of my career, I have pushed myself beyond my limits. I didn’t set boundaries professionally because I was motivated and inspired to win. But I’d come to regret not setting personal boundaries. I would work until I got sick—literally sick. Illness became my permission to take a day off. 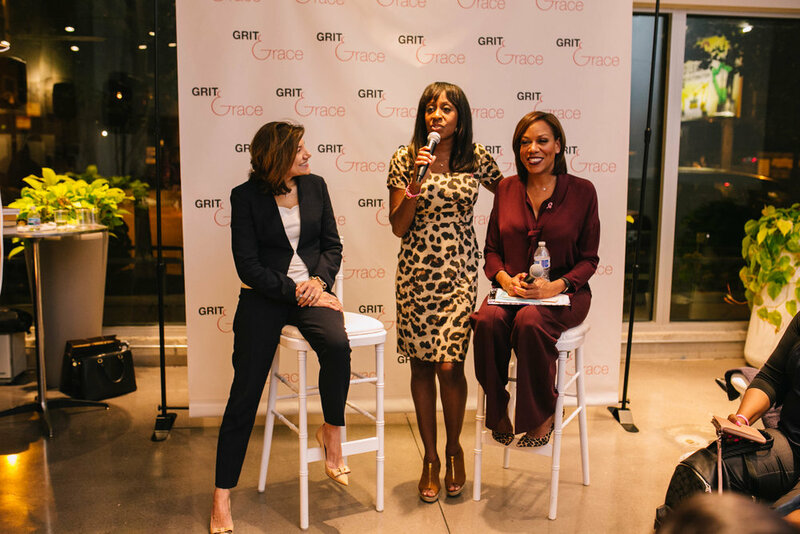 To learn from the best Boss Ladies in the business on how to boss up, click here to register now for Grit + Grace Day. Real Like Me is all about you and your potential. You just need confidence and a game plan to succeed. Let us inspire you with stories about real women and give you a platform to inspire other women with your story. You can learn from our expert-led webinars and create your plan for success with a RLM-certified coach. Think about how you want to make life better for yourself and your family and make more of a difference in the world. We’re asking you to put your ideas into action. Help us build a movement. Women have power. We just need to own it. We’re preparing for our official launch and we want you to be part of it. Follow us on social media (see right column) and follow this site (lower right corner) for updates. And be sure to check out the video above. Mona Aburmishan, Candi Carter, Sheila Chalmers-Currin, Tiffany Chapman, Kathleen Henson, and Tawnee McCluskey talk about their passions and major life challenges. They are an inspiration to any woman who wants to succeed in a so-called “man’s job,” manage a career and a family, make a difference in the world, or just be the best she can possibly be.